By Jeff Schneider, Gene Kissane and Robert Brumell. Originally published in Litigation Management Magazine, winter 2013. Slip and fall claims have been around since businesses first opened their doors. It may not even be surprising to think of Ugh, in his cave slipping and falling on a rock and blaming his friend Argh. Throughout the country, these types of claims have been so prevalent over the last 10 years due to legal standards in favor of the plaintiffs. 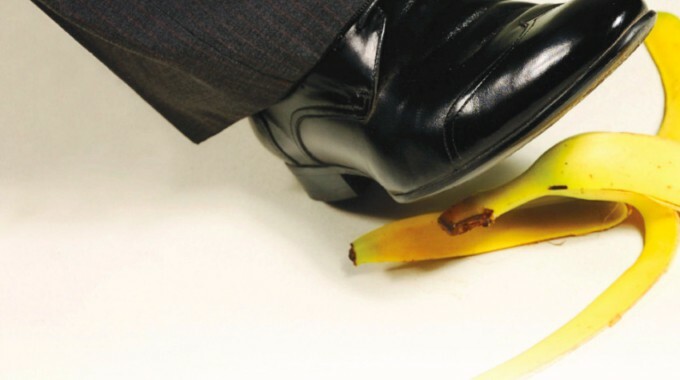 What is even more troubling is the number of slip and fall claims that are not in good faith. Te cost of those claims to the public, the business and insurance companies, is significant.